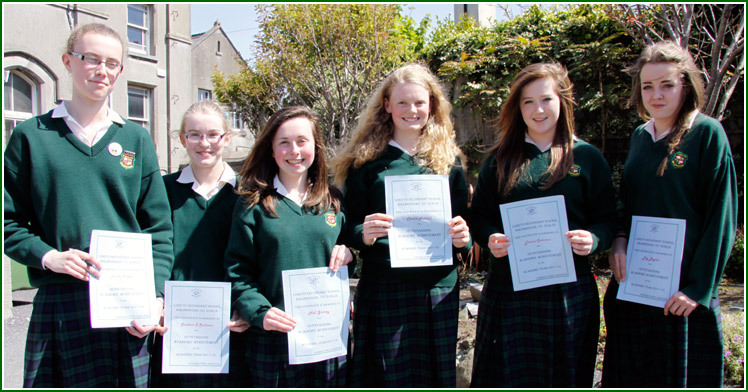 House Examinations for 1st, 2nd, 4th and 5th Year students were completed on Friday,1st June. Best wishes to all students taking the Junior Certificate and Leaving Certificate examinations next week. For those already on holiday we wish you an enjoyable summer. 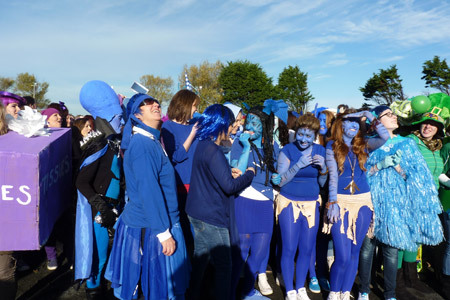 Some highlights of Transition Year 2012. 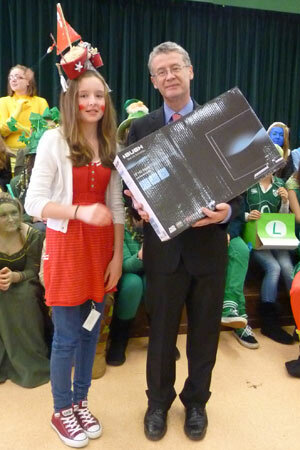 First Year Prize Giving took place on Friday, 18th. Well done to all the recipients of awards. (Photo below). Well done to our athletes during the week. Sarah Parker won gold in the shot putt and Eryn Devine won bronze in the 1500. 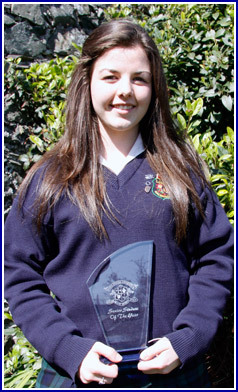 Congratulations also to Roisin Leahy who came second in the North Leinster 1500 and 3rd in the Loreto Championships. The JPIC group recently held a Mother Earth Day photo competition. Students were asked to take photos of examples of natural beauty in their local area. The entries were fantastic and the judges had a difficult time choosing a winner! 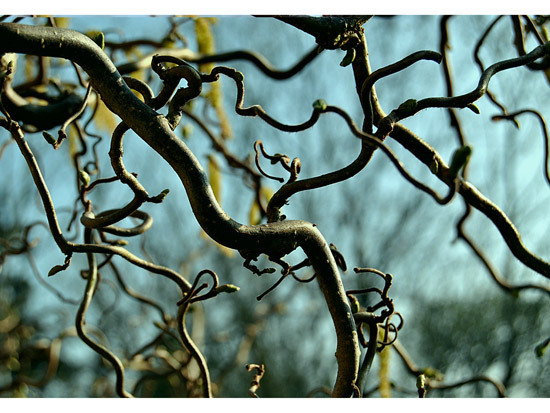 Well done to Nichola Butterly for her winning photo and to runner up Fiona Costelloe. Eucharistic Congress Reflection took place in the Religion Room this week. 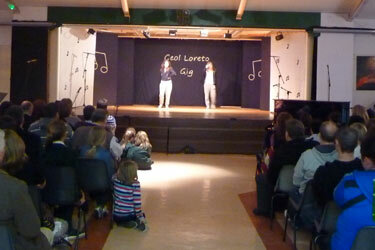 A wonderful Ceol Loreto Gig took place this week. 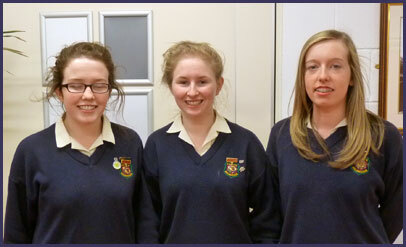 Well done particularly to the outgoing Music captains Rachel McCarthy, Rachel Nugent, Joanne Morgan and Sarah Ferguson. 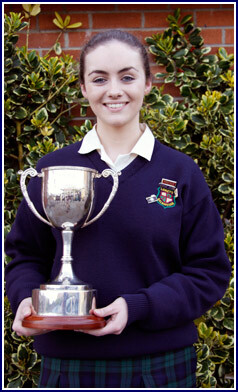 Head Girl - Ciara McGuinness. Deputy Heads - Deirdre Harford, Lauren Behan and Eniola Kasim. 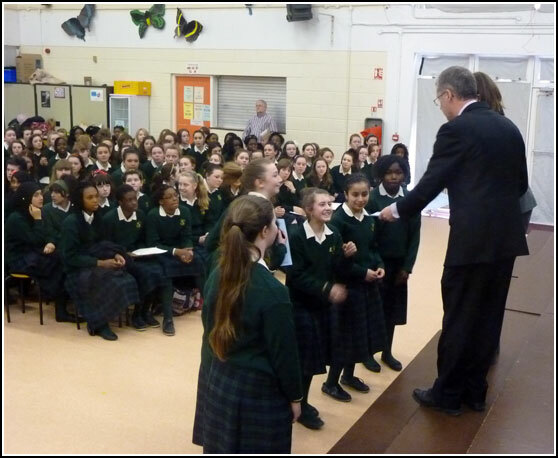 Each Year group had assemblies to mark the imminent end of the academic year and to prepare for end of year exams. 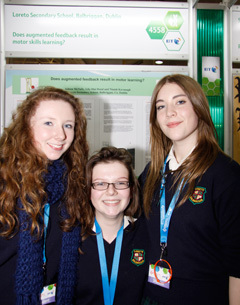 Congratulations to the students who had brillant success at SciFest and their teacher, Ms. McNally. The overall winners were Megan Weston and Kate Thompson with their project “An investigation into the Experimenter Demand Effect – could it influence students in our school?”. 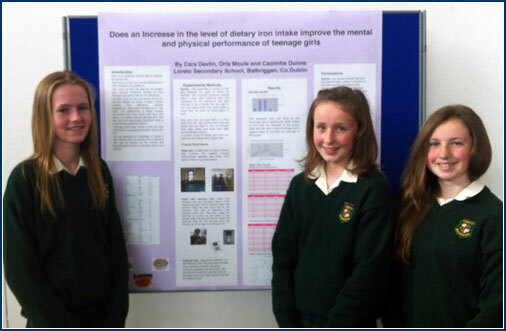 Winners in the Junior Life Science were First Years, Cara Devlin, Orla Moule and Caoimhe Dunne with their project “Does an increase in the level of dietary iron intake improve the mental and physical performance of teenage girls”. 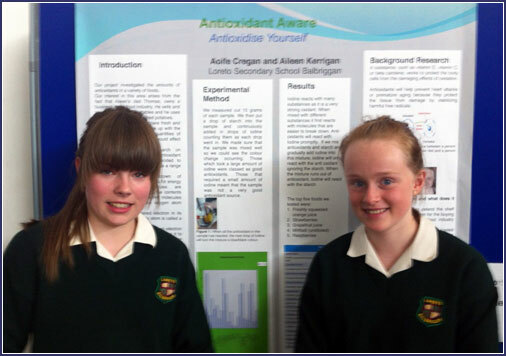 Well done also to Aileen Kerrigan and Aoife Cregan with their project “Antioxidant Aware”. Project Maths inservice took place in the school during the week. Well done to all who participated in the school’s golf tournament on Wednesday. 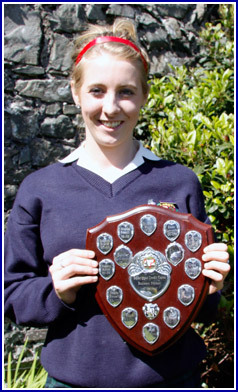 The overall winner was Laura Cody (below) and Niamh Conway was second. Many thanks to Balbriggan Golf Club for hosting the event. Hard luck to the U. 17 football team who were narrowly beaten in their Leinster semi final. The Transition Years were on a number of trips this week. The Politics group visited the Dail and a Business class visited Dundalk Institute of Technology. Transition Years were also interviewed as part of their end of year assessment. The girls provided some of their work and spoke about the learning experience of Transition Year with members of the T.Y. team. 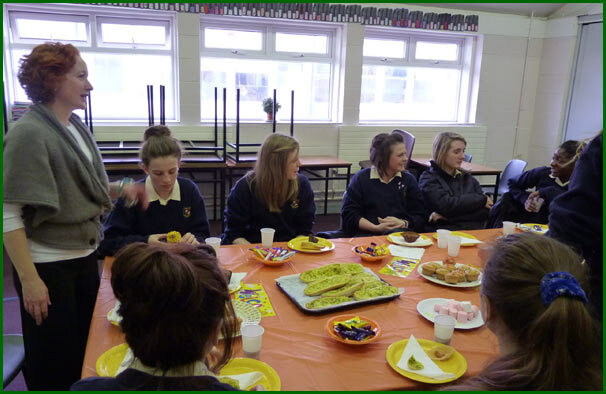 Sixth Years had a De-stress input with members of the Guidance and Chaplaincy Department. Interviews for student leadership also took place this week. Seventy eight girls applied for positions. The panel were greatly impressed by the girls’ maturity, communication skills and commitment to school life. Well done to all our participants in the North Leinster Athletics. Well done to Sarah Parker on her shot putt gold, Roisin Leahy on her silver and Erin Devine also on her silver. Fifth Year Mock Orals continue this week. In the Leaving Certificate 40% of the overall mark is for Oral Irish. 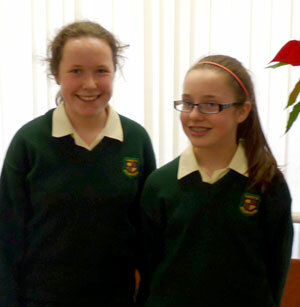 Well done to Aisling Duff & Aine McCarthy on their excellent performances in the Loreto Public Speaking Competition. 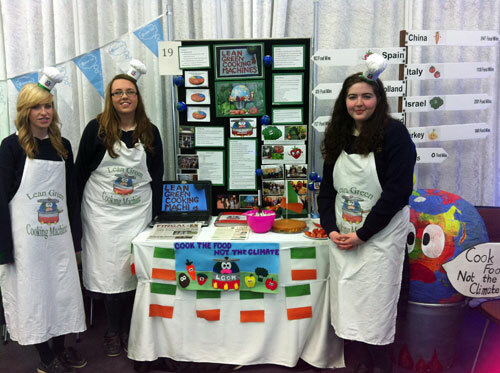 Well done to Emily Purtell, Eimear Reilly and Julie Hamilton on reaching the finals of the Power of One competition, held in Dublin Castle, with their project "Lean Green Cooking Machines". Third and Sixth Year Practicals took place this week. Transition Year D.A.T.’s tests also took place this week. The Fifth Year Home Economics students attended Butlers Chocolate Factory. 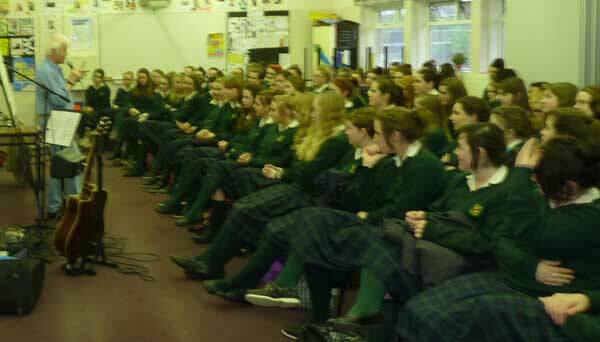 Transition Year students had their Relationship and Sexuality talks this week. Well done to the tennis teams on this week’s performance. 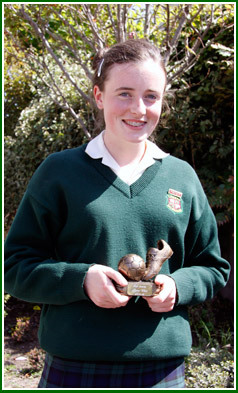 Congratulations to Chloe Gray on winning the Irish boxing Championship last weekend. Deadline has been extended - last day to submit photos is Monday, May 7th. Make sure to state your name and class with the photo. Well done to all the students who completed their Oral and Practical Examinations this week. The Fifth Year History classes are on a weekend trip to Belfast and Derry as part of their Leaving Certificate curriculum. Best of luck to the Volleyball team on their tournament today. Another Transition Year Film Studies class wrote, directed and acted in their own film this week. Transition Year had their Relationships & Sexuality course today. It was provided by Accord. Second Year students attended the Humourfit Anti-Bullying workshop on Tuesday. The Transition Year Business class visited the Helix for the HEA business and research awards. Mr. Eoin Kelly, Manager of the local Bank of Ireland gave a talk to the 5th Business class. 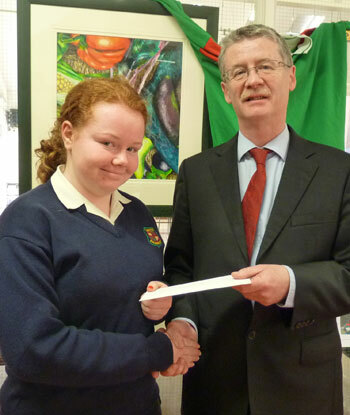 Well done to Orlaith Darling on her Bags & Rags sale for the charity fund raiser. Transition Years took part in a Driving Course. The Transition Year Health Care group visited Dundalk Institute of Technology to see how technology helps elder people with independent living. 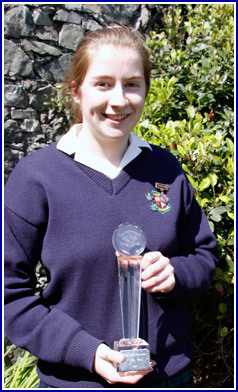 Well done to past pupil Marie Farrell, on being part of the NUI Maynooth team that has won the Microsoft Imagine Cup Final 2012 (link). They developed cloud based application for use in medicaltreatment and will now represent Ireland in the world finals in Sydney. 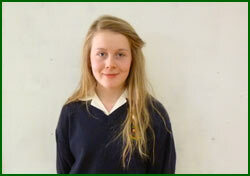 Well done to Chloe Guildea who will represent Balbriggan in the All Ireland Girls Boxing Championships. came 6th and Saoirse was 22nd. Sixth and Third Years are taking their Oral and Practical examinations for Junior & Leaving Certificate this week. 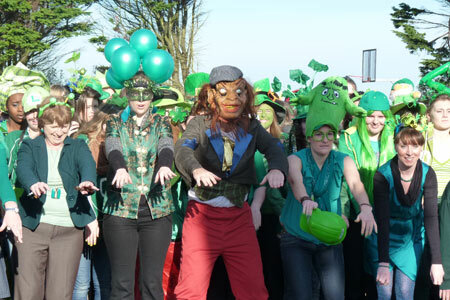 Sixth Years have Oral Irish this week. Best wishes to all of them. Congratulations to Erica Ruigrok on her continuing sailing success. In recent weeks Erica won the Munster Ladies Championships in Baltimore. 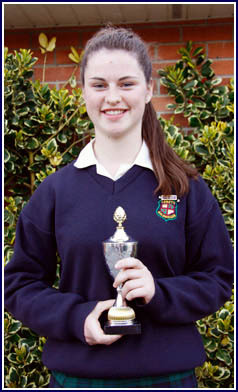 She also won the All Ireland Youth Mitsubishi Championship in the Laser 4.7. She is a double gold medallist for first overall and first lady. Well done to both our tennis and soccer teams on their performances this week. The Transition Year Film Studies group are writing, directing and acting in a film this week. Each student will receive a DVD of the film at the end of the week. 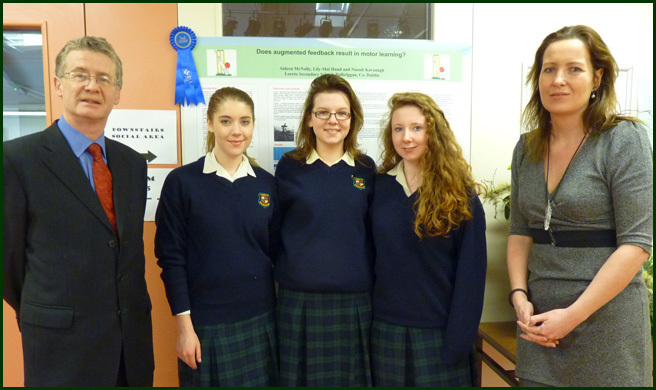 Congratulations to our teams at the prestigious SciFest competition in D.I.T., Kevin Street. 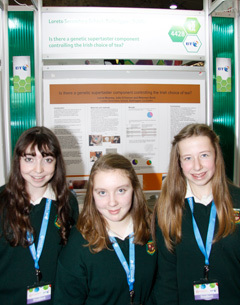 The overall winner of the entire competition were Lorna Mooney, Julie O’Connor and Shannon Scott with their project on Is there a genetic supertaster component controlling the Irish choice of tea?. Also Amber Lacey and Maria Gordon won the Senior Biology section with their project on A bioinformatic investigation into the susceptibility of the orang-utan to human genetic disorders . 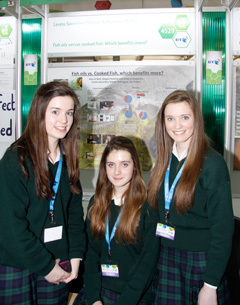 Well done also to Alice O’Neill, Victoria Fitzsimons and Megan Freeman on being runners up in the intermediate Biology section with their project on Fish oils versus cooked fish-which benefits more?. 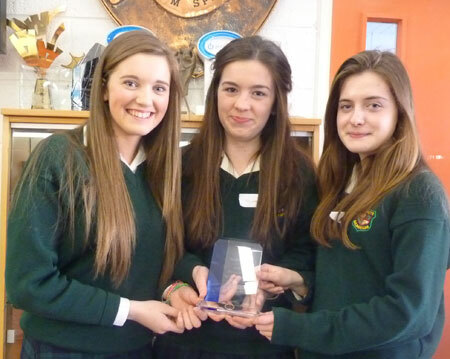 The girls also won the National Science Award sponsored by NCE-MCTL. 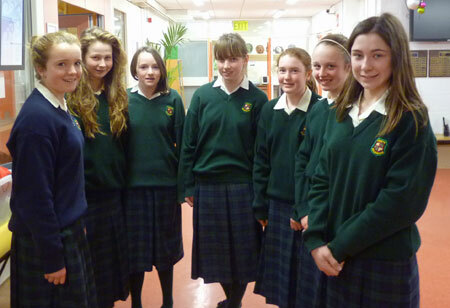 Congratulations to the nine Leaving Certificate Art students who were accepted into N.C.A.D. for the next academic year. The school community are delighted for all involved. The girls are Fabienne Renaudin, Emilie Renaudin, Fiona White, Sarah Burns, Aisling Duff, Aisling McGloughlin, Lauren Fitzpatrick, Gillian Foley and Katie Kidd. 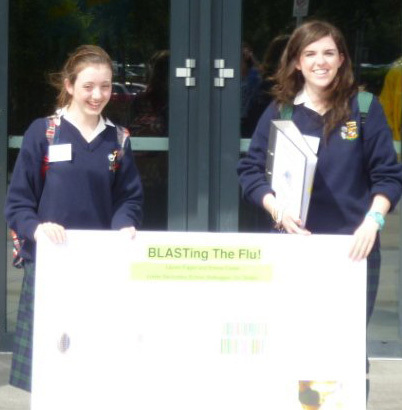 Our two Young Scientists Runners Up, Deirdre Harford and Colleen Kelly are attending the BT Business of Science and Technology Bootcamp in UCD this week. The course focuses on the business elements of various Young Scientists projects. 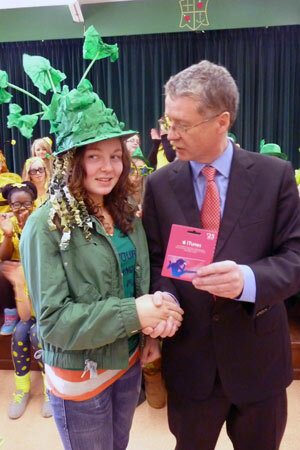 Deirdre was part of the winning team at the BT Young Scientist Business Bootcamp. 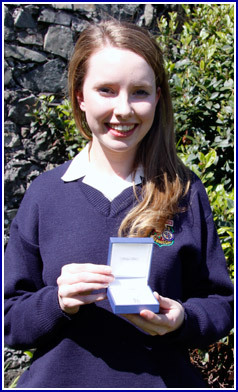 Her prize inclides an internship in an Irish University over the summer holidays. 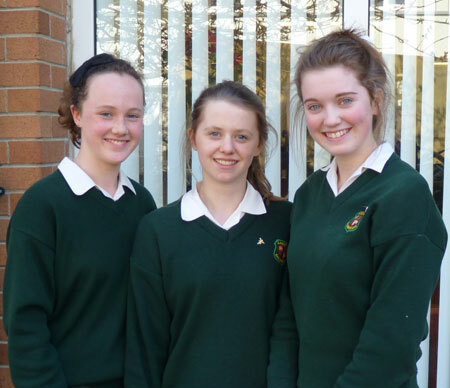 Well done to Julie Hamilton, Eimear Reilly and Emily Purtell on reaching the finals of the One Good Idea national environmental competition. Over 250 teams entered and the Loreto girls are one of 20 in the final. 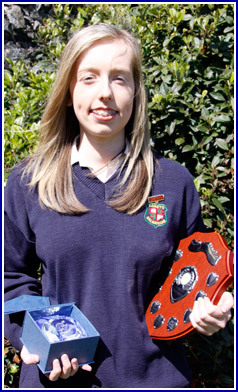 Congratulations to Avril Nevins on her wonderful display in the Leinster Long Course swimming Championship. Avril won gold in the 800 m freestyle. She also won bronze in the 200 in freestyle. Further gold medals were won in the 4 x 100 free relay and the 4 x 100 medly relay. A silver medal was won in the 4 x 100 freestyle relay. A fantastic achievement for one of the school’s top sports people. Congratulations to our golfing team of Lauren Cody, Rachel Walker and Megan Freeman who came gross second in the Dublin’s schools golf competition. Niamh McGarry, one of the school’s private music teachers, had her students perform an excellent recital on Monday, 26th. Well done to the French Quiz team of Ruth Hanrahan, Aisling Dwyer, Hannah Redmond and Sarah Boylan who took part in the Alliance Francaise Quiz. Hard luck to the senior soccer team on their Leinster semi-final defeat. 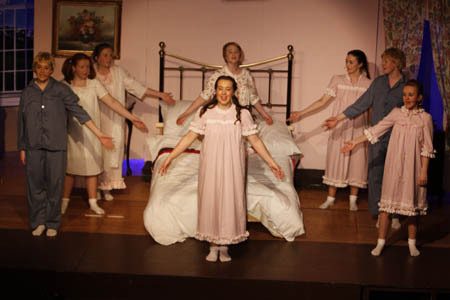 The excellent TY production of The Sound Of Music is continuing, with the last show on the night of Friday, March 30th. More pictures - click here. Second Year students are on a Geography trip this week. Third Year Parents and students attended an Information meeting on Transition Year and Senior Cycle Options on Thursday, 22nd March. HPV vaccinations took place this week. Best wishes to our golf team participating on Friday in the Inter-Schools Competition in Clontarf. 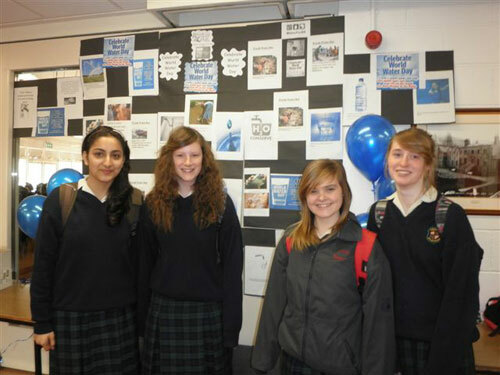 World Water Day was highlighted by Ms. Grace’s and Ms. Curley's J.P.I.C. group. The school tennis trials took place on Friday. 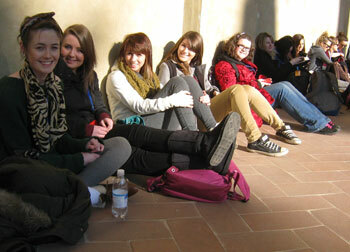 Information Meetings for upcoming school trips to Rome (Geography) and Norway (Skiing) took place this week. Well done to Claire Toland on her first senior tournament (Tae Kwon Do). Claire surpassed all expectations and was just pipped for a bronze medal by a single point. She will now be an Elite Irish athlete for the second year running. 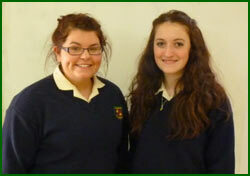 Well done to Deirdre Harford and Eimear Gorey on their fine performance in the Loreto Mace Debate semi-final. The Transition Year Politics class visited the Dail this week. Senior students interested in medical careers visited Beaumont for relevant talks on Thursday. 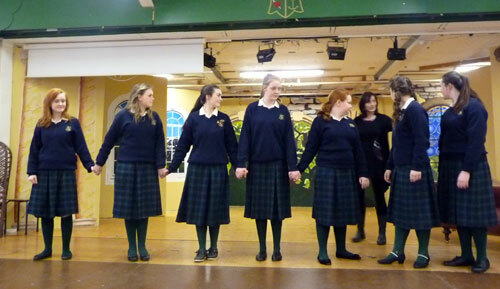 Preparation for the Transition Year musical “The Sound of Music” is ongoing. It promises to be an excellent show. 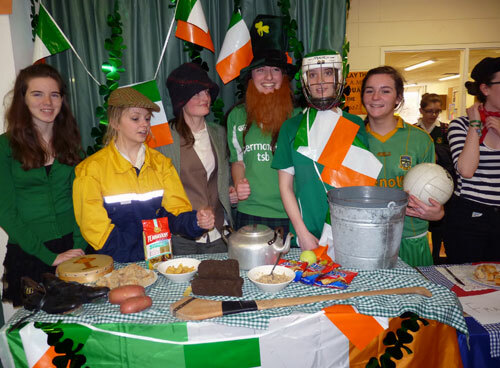 Lots of events were organised for Seachtain na Gaelige. Congratulations to the Senior Choir on their performances in the Emmanuel Concert in the Helix. A special word for our eight soloists on the night, Sarah Ferguson, Rachel McCarthy, Kelly Meehan Brown, Eniola Kasim, Kate Bauer, Grainne Corcoran, Ciara O’Rourke and Joanne Morgan. The 2C class visited the Criminal Courts on Thursday as part of their C.S.P.E. programme. 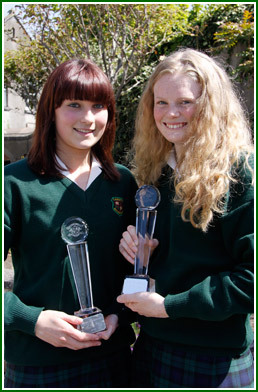 Well done to Ruth Moore and Meaghan Dinsmore on winning Art prizes in the Balbriggan Town Council’s St. Patrick’s Day competition. 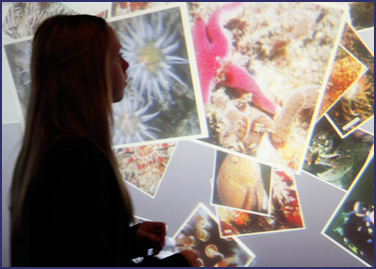 Leaving Certificate Geography students took their field trip this week. Well done to our Basketball team who have reached their league quarter final. The Equestrian season has come to an end with the Loreto team coming runner up in the Kilossery Stud competition. Well done to Roisin Leahy, Erin Devine andAine McCarthy on their excellent display in the national cross country competition. 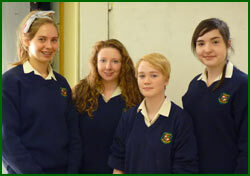 Well done to the TY group of Emer Reilly, Julie Hamilton and Emily Purtell on reaching the semi finals of the Sustainable Energy Authority (Ireland) competition. Congratulations to each of the following who won the Board of Management Scholarships towards a language course: Irish - Serena Paraschiv, French – Ruth Hanrahan, German – Caoimhe Reynolds. 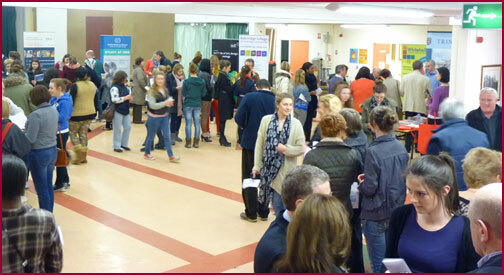 The Transition Year Parent/Teacher meeting took place on Tuesday, 6th March. The Senior Choir travelled to Clongowes for a music workshop. 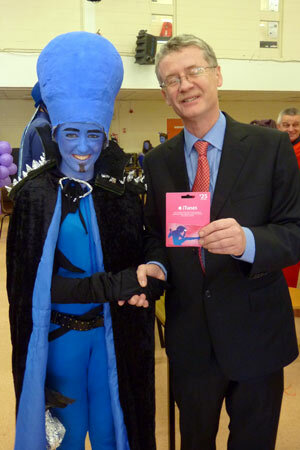 Fifth Year students attended a performance of “Macbeth” on Wednesday, 7th March. 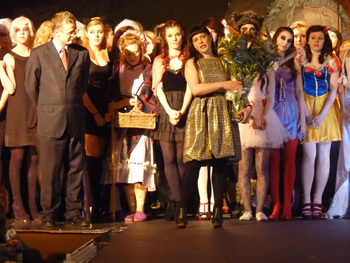 Macbeth is on the Leaving Certificate Examination, 2013. First Year History students visited Newgrange as part of their studies. The Senior soccer team lost this week but have qualified for the Leinster semi final. 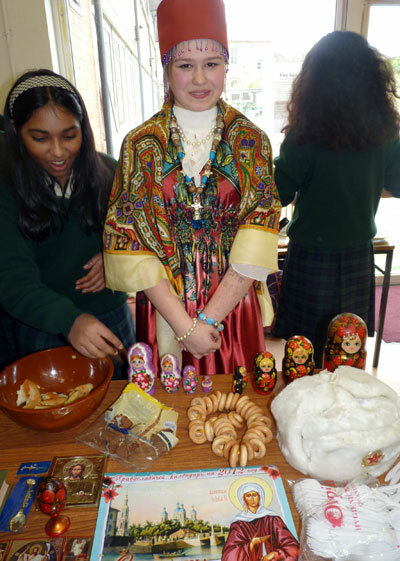 The school hosted a wonderful Intercultural Day on Friday, 9th March. 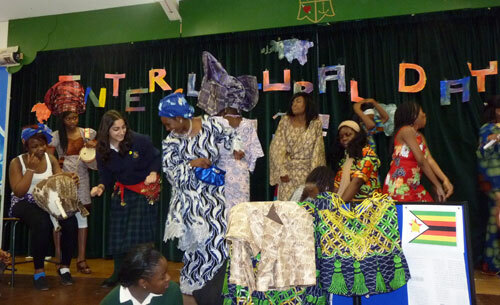 Well done to the organising teachers and Intercultural Captains, Winifred Onwubiko & Anne Fadairo. Hard luck to the Senior Gaelic football team on a very close match in the All Ireland Semi Final against Dungarvan. Best wishes to Dungarvan in the Final. Hard luck to our Second Year Hockey team who were narrowly beaten in their quarter final by Loreto, Foxrock. Best of luck to Lauren Jones (T.Y.) who is participating in The Nicholas Cup in Anzere this coming week. This bi-annual event takes place as a separate event within the Winter World Transplant Games. Well done to the following in the Leinster Life Saving Competition: Alison Leonard, First in First Aid Category, Sarah Parker, Overall Winner, Clara Hynes, First swimming category and 3rd Overall. 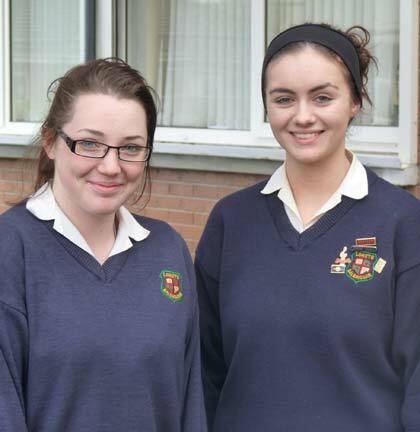 Best wishes to our students (Aisling Duff and Eimear Gorey) participating in the AIB Phil Debating Competition. Eimear Gorey qualified for the Semi finals. Well done also to Sophie Donnelly who has reached the Semi-Finals of the Denny Debates. The Homework Club has recommenced. Please contact Ms. Callinan for details. Saturday Study has recommenced this week. Many thanks to the Ulster Bank for their kind donation to the “Sound of Music” through their Community Fund. Niamh Mackey organised the donation. Our Entrance Test for incoming First Year, September 2012, took place this week. Congratulations to the Senior Gaelic football team on winning the Leinster Championship against Heywood College on Thursday. It was a close game with Loreto winning by a single point. Karla Rowe won the Woman of the Match award. Well done also to the U.14 who narrowly lost their quarter final this week. The Second Year Hockey team qualified for the quarter finals of their group with a home win against Our Lady’s Terenure. Our basketball team also had successes in League matches this week. The school hosted a really excellent Careers Fair on Wednesday 22nd. Representatives of all the main colleges were available for consultation. There were also 75 specialists from various careers who were able to provide details of the day to day work life in their particular job. 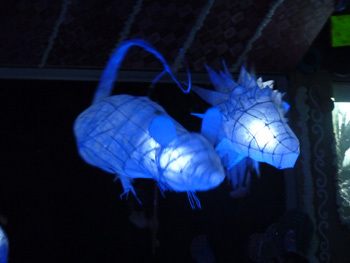 The Fair was organised by the school’s Parents Association and the Careers Department. 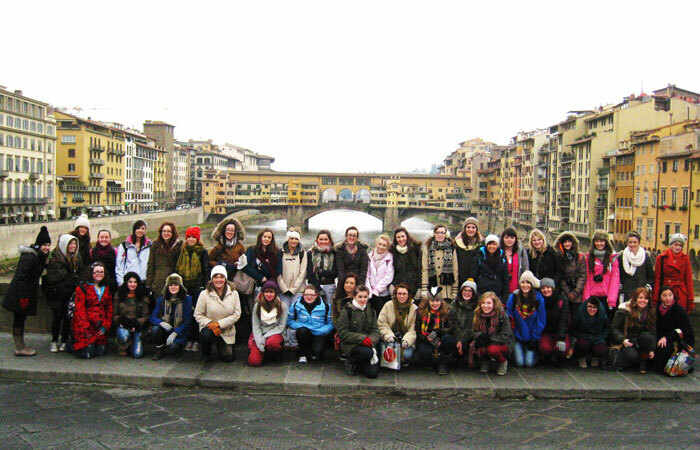 The sixth year Art Students have just come back from a very successful trip to Florence where they had great fun learning about Renaissance Art History. They soaked up the atmosphere in this historic city and visited the famous Uffizzi Gallery where they saw Botticelli's "Birth of Venus". 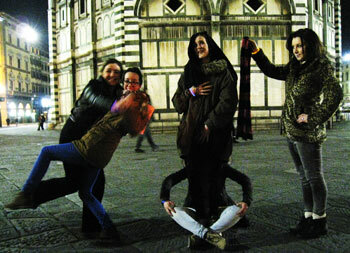 They also saw Michelangelo's famous statue of "David" and many other inspiring artworks. 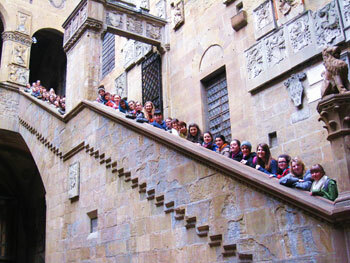 These tours have a very tangible effect on the students' appreciation of art history and their practical work. Our hope is that the tours, combined with gallery visits in Ireland, will create a pattern of museum-going that creates enjoyment and meaning throughout our students' lives. 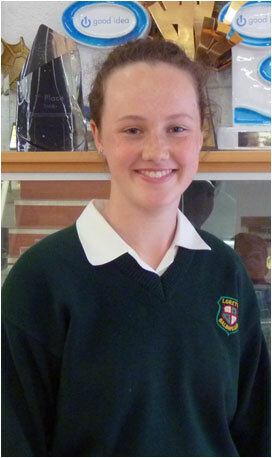 Best wishes to Rachel Nevins who is participating in the Irish Olympiad trials next week. Ashes were distributed to all students who wished to avail of them of Ash Wednesday. Second Years are participating in a retreat with Gerry Keegan on Thursday and Friday. Transition Years are fundraising for Oesophageal cancer charities this week. First Year students are visiting Newgrange on Friday, 24th. Best wishes to our students involved in the ALSSA Life Saving competition at the weekend. 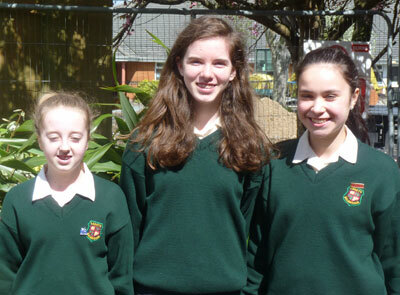 They are Clara Hynes, Naomi Whearity, Alison Leonard and Sarah Parke. Mock Examinations have been ongoing and finished today. Transition Year Work Experience is also ongoing and ends today. Well done to Roisin Leahy, Aine McCarthy and Eryn Devine on reaching the finals of the Schools Cross Country Competition. Congratulations to the U.14 Soccer team on their victory this week. The Junior Hockey team had also a good victory during the week. The Careers Department and the Parents Association Careers Fair will occur on Wednesday, 22nd February. Further details will appear later on the website. Many colleges will be represented as will individuals from a variety of careers and occupations. Fourth, Fifth & Sixth Year students have been invited. Mock examinations continued for Junior & Leaving Certificate students. Transition Year students continue on work experience until mid term. Well done to the students involved in the North Leinster Cross Country, Roisin Leahy, Maria Luse, Aine McCarthy and Eryn Devine. Roisin had an outstanding third place in her event. 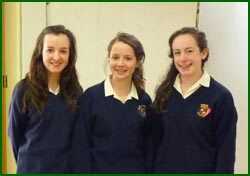 Roisin, Aine and Eryn qualified for the North Leinster Finals. 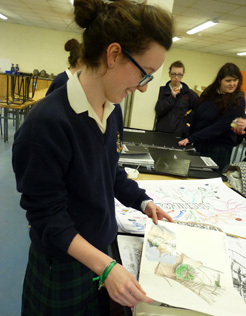 Sixth Year students had an exhibition of their portfolio work on Tuesday. Well done to the girls on their superb efforts. Mary Ward Week is being celebrated in all Loreto schools this week with a variety of events and services. All 6th Year students also received a card from the Loreto Sisters wishing them well and praying for them at this time. 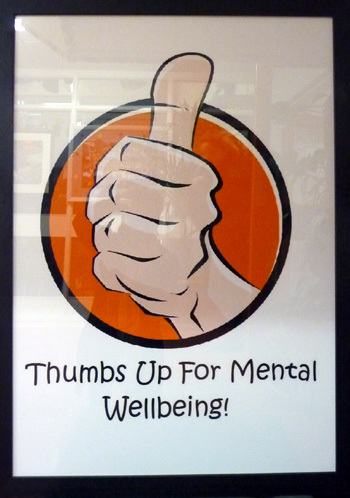 To coincide with this the school’s Pastoral Team have organised a Mental Well Being Week. A number of events/talks occurred to raise awareness of the importance of mental well being. Third & Sixth Year students are preparing for Mock Examinations. 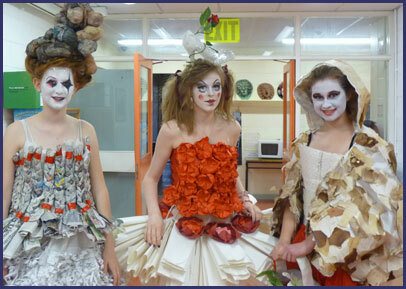 Sixth Year Art students will begin on Friday, 27th January. 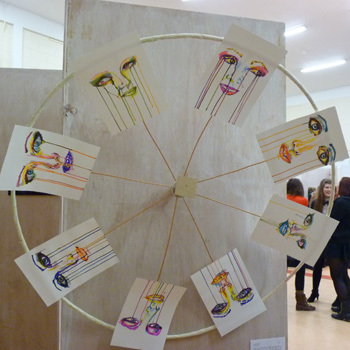 The Fifth Year Art Exhibition took place in the school hall on Friday, 24th. Many excellent and thought provoking pieces were on view. Well done to the teachers and student curators, Niamh Wynne, Ciara Wynne, Alison Doran, Kim O’Mara, Anna Maria Kerley and Katie Murphy. Hard luck to the U.17 and U.18 soccer team on their defeats in Leinster semi-finals this week. 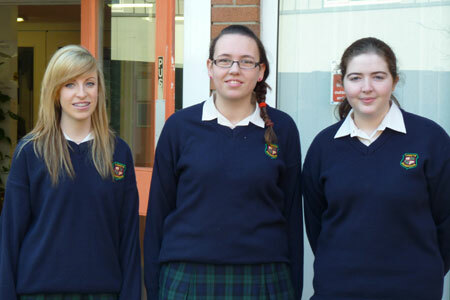 Transition Year began their work experience this week. 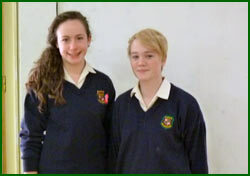 Well done to Eniola Kasim and Deirdre Harford who reached the finals of the Wesley Debating competition. Well done also to both Equestrian teams in the Inter School competition in Killsorrey Stud. Ann Berg and Becky Grimes came fifth while Kristen Fynes, Kate Murray, Elizabeth Monahan and Regina Dunne were in third place. Congratulations to the Junior Hockey team on their excellent results this week. Congratulations to Megan Weston on her award from D.C.U. 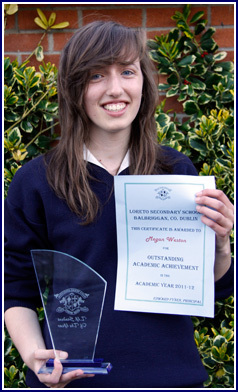 in recognition of her outstanding performance in Junior Certificate Business Studies Examination 2011. 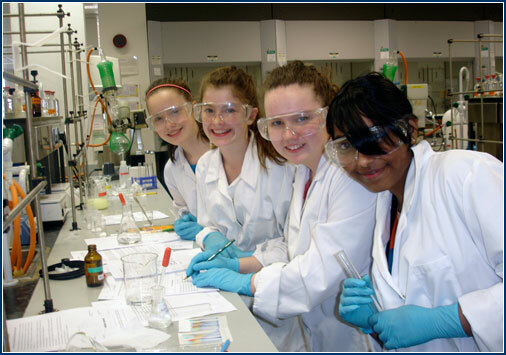 Congratulations to all our Young Scientists on their participation in this year’s BT Young Scientist Competition. 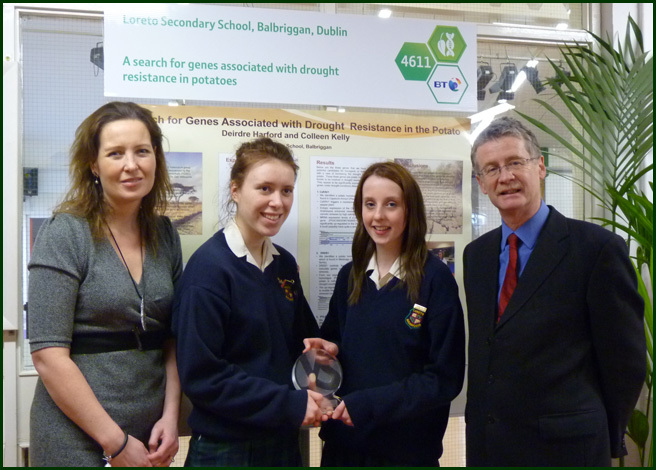 Particular congratulations to Deirdre Harford and Coleen Kelly on their project “A search for Genes associated with Drought Resistance in the Potato” which was overall runner up. The girls successfully identified 3 homologues in the potato that were similar to tea and pepper. This could, with more research, lead to more drought resistant potato crops. 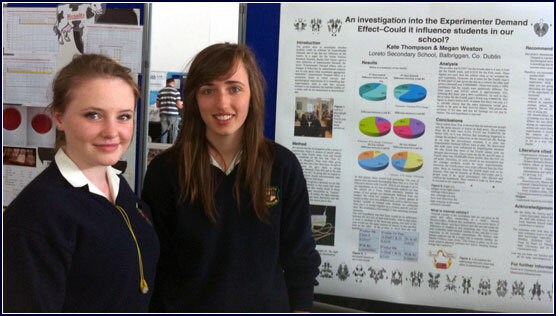 Three Transition Year students Aideen McNally, Lili-Mai Hand and Niamh Kavanagh came second in the Intermediate Section of the Biological and Ecological Section of the competition. Their project was entitled “Does augmented feedback result in motor learning”. 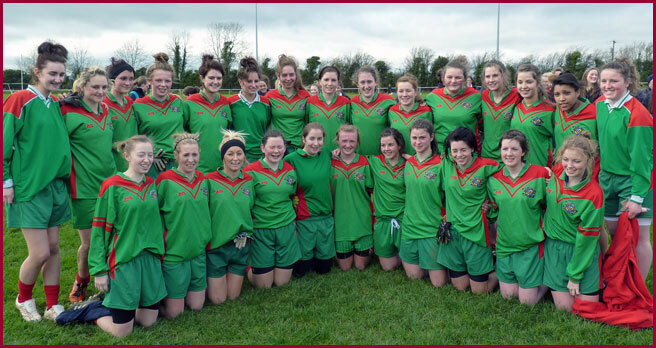 Well done to the Senior Gaelic Team who reached the Leinster Final after their match with Manor House. 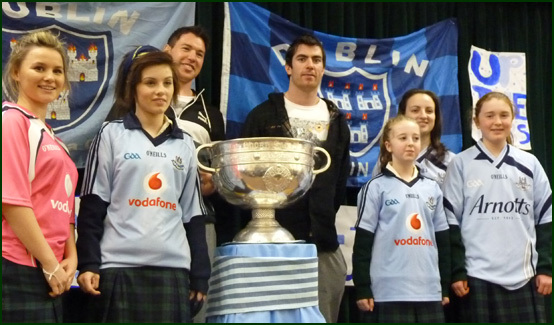 The Sam Maguire Cup was brought to the school on Thursday by Dublin players, Eamon Fennelly and Michael Darragh Macauley. The girls were delighted to get their photo taken with the cup and players. There was a cake decorating workshop for Transition Years during the week. Congratulations also to the Hockey and Soccer team on excellent performances during the week. The U.17 soccer reached the Leinster Quarter Final after a penalty shoot out. Transition Years are completing their examinations on Thursday and Friday before starting work experience placement. Best wishes to the girls. Evening study has resumed - Information for parents here. Best wishes to the Music students who are on a Music Trip to London this week. The Transition Years had a most informative talk from the Gardai on Road Safety. The Parents Association are actively preparing for a Careers Fair on 22nd February. 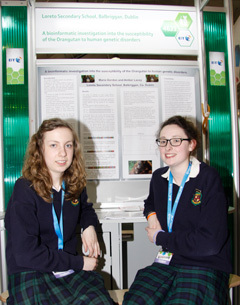 Best wishes to all of our students participating in the BT Young Scientist and Technology Exhibition - Fifth year students Maria Gordon, Amber Lacey, Colleen Kelly and Deirdre Harford, Fourth year Students Megan Weston, Kate Thompson, Lily-Mai Hand, Aideen McNally and Niamh Kavanagh, Third year students Alice O' Neill, Megan Freeman and Victoria Fitzsimons and Second year students Lorna Mooney, Julie O' Connor and Shannon Scott. All are pictured below at their stands in the RDS today. 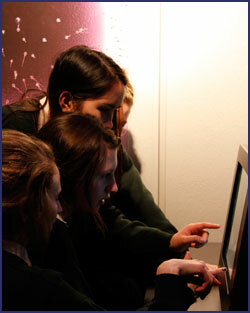 Classes from First and Second Year visited the Young Scientist Exhibition on Thursday. Well done to all our Sports team on their recent performances. We have had great victories from hockey, soccer, Gaelic and Basketball. A special word to our Senior Hockey team who won their final school’s match 3 – 0. 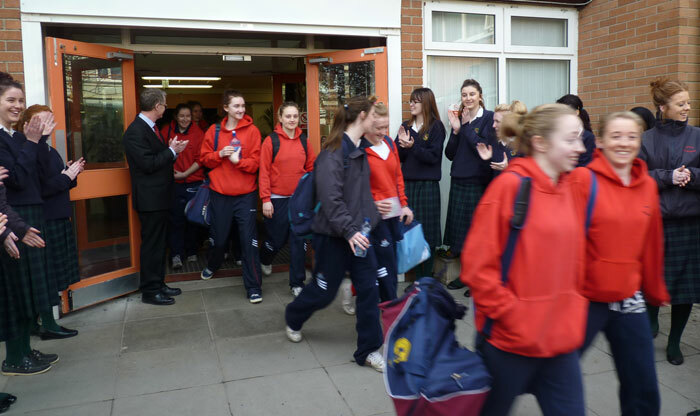 Congratulations to our two basketball teams won the North East Leinster trophy at the weekend. The Sixth Year Art students visited IMMA as part of their Leaving Certificate Gallery visit. The school Carol Service occurred on Wednesday, 22nd. It was a beautiful occasion. Well done to all concerned. 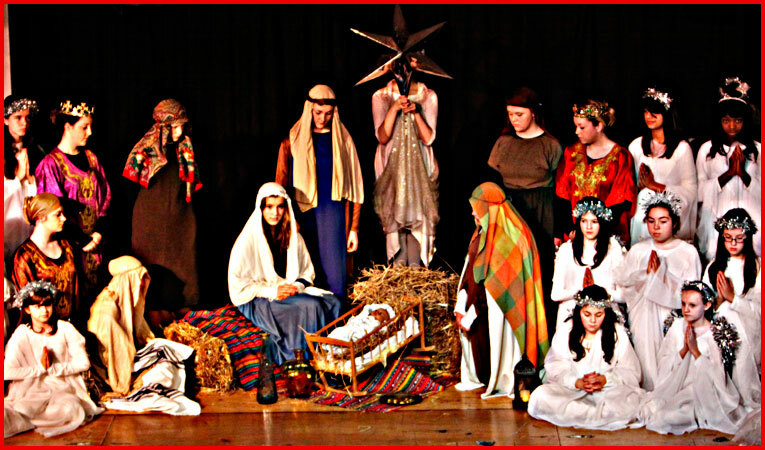 Best wishes to all the school for the Christmas period and 2012. The school offers its sympathy to the Loreto Community of the death of Sr. Benedict. 2nd to Friday, 6th January. Well done to our two Basketball teams who have reached the final of the North East League. 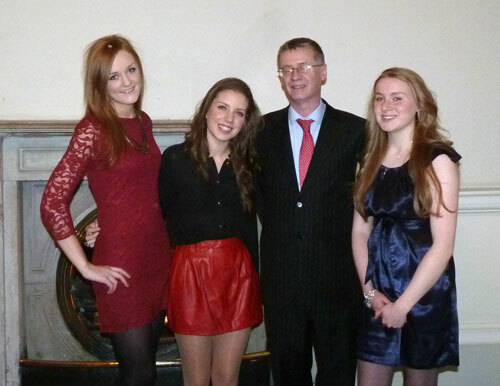 A wonderful Ceol Loreto Gig took place on 15th December. Well done to all who participated. Christmas Tests are ongoing. Reports will beforwarded over the holiday period. Well done to our Equestrian, Soccer and hockey teams on their performance over the past week. The Equestrian team came second in the Killossry competition. 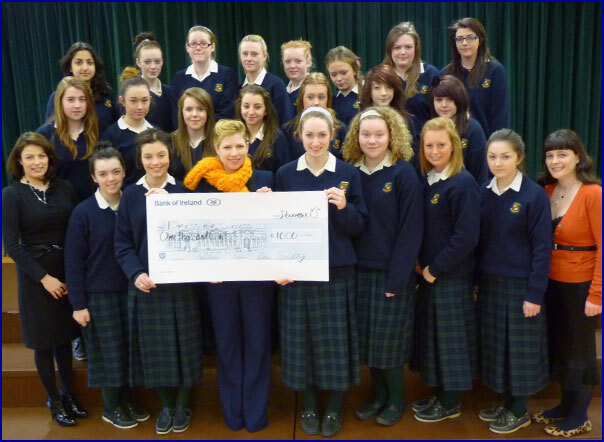 Sr. Kathleen MacLennan collected the monies raised for Loreto Darjeeling and spoke to the students about Loreto schools worldwide. Sr. Kathleen is going in February to work in Loreto Rumbek for a year. 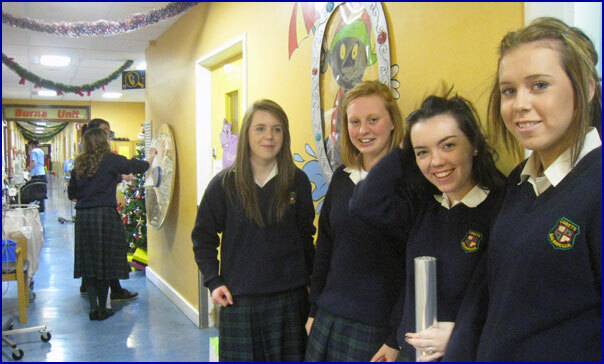 The Transition Year Fashion group were involved in decorating a ward for the children in Crumlin Hospital. The student council have organised a Random Act of Kindness week this week. Our Parents Association are planning a Careers Fair for 4th & 5th Year students on February 22nd 2012. Sonya Lennon met the T.Y. Fashion Group to accept a cheque for the “Dress for Success” programme. 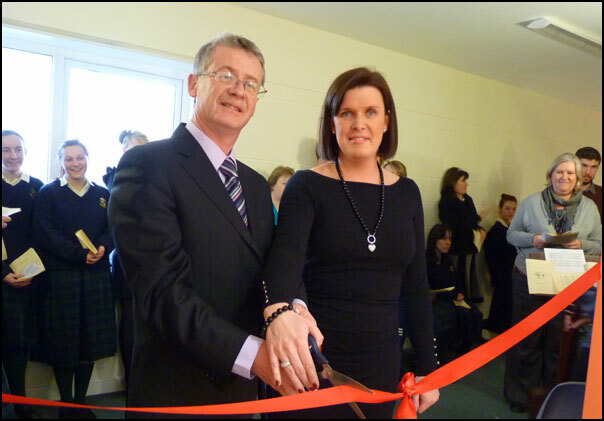 The Special Education Needs suite was officially opened on Friday, 16th. 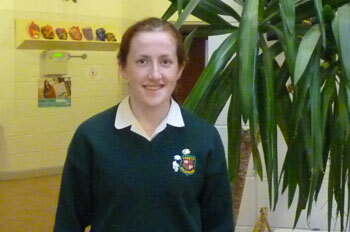 Well done to Claire Toland who won 2 Gold Medals in the All Ireland Tae-Kwon-Doe championships. 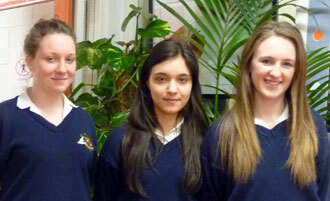 Congratulations to students involved in the Denny Debates and Loreto Mace Debates during the week. The Equestrian team are participating in the Kilossery Study Competition this weekend. Supervised Saturday morning Study continues tomorrow, 3rd December. Well done to the hockey and soccer teams on their performances this week. 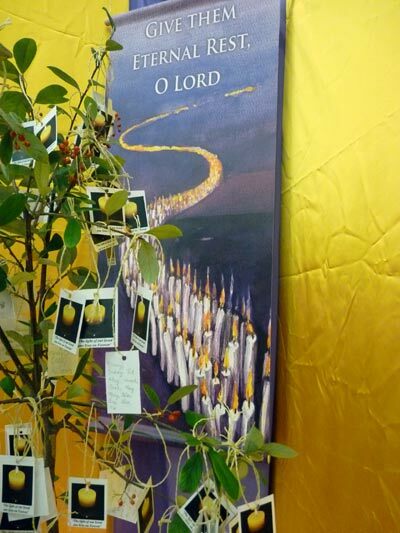 A Taize Remembrance Evening was held in the school on Wednesday, 30th November. The Senior Choir sang beautifully on the night. Congratulations to Emma Gilroy, Carlotta Morgan Diaz and Alexa Donnelly, who were awarded their Entrance Exhibition Awards on Monday, 26th in Trinity College. 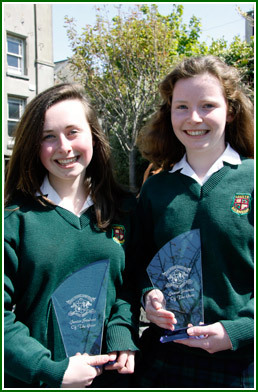 This award is based on the girls exceptional performance in their Leaving Certificate. Transition Year students are involved in the Public Access to Law Course this Friday, 2nd December. The Transition Years under the direction of Ms. Lennon and Ms. Fagan staged a wonderful Form and Fusion Fashion Show on Tuesday, Wednesday and Thursday. 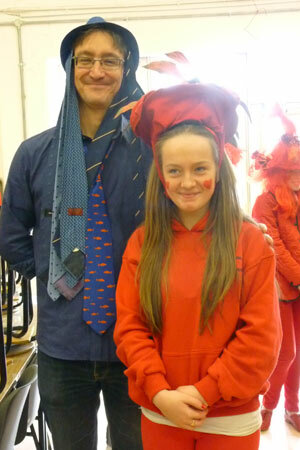 As well as clothes from a variety of shops, superb work from the Art classes was on show. Many thanks to our kind sponsors. Well done to the four students who spoke at the Soroptimist Public Speaking Competition – Lauren Behan, Sophie Donnelly, Lorna Staines and Rebecca Ward. 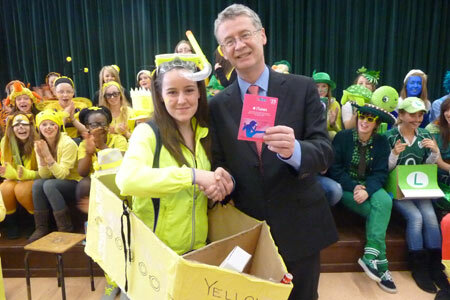 HPV vaccinations took place in the school this week. Well done to the soccer, Gaelic and hockey teams on their performances this week. Four acts from the school performed in the School Stars Competition – Izzie Rioch, Hannah Hawkshaw, Farah Elenhium and the Iconic Dance Group. Well done to all. Izzie, Hannah and Farah have reached the final. Rehearsals for the Transition Year Fashion Show are ongoing. 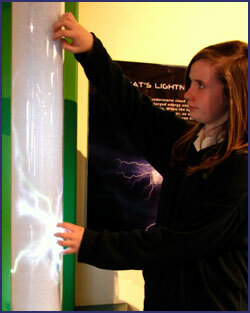 One hundred and fifty second year students attended W5 in Belfast today as part of Science Week. Well done to Anna O' Keefe, Laura Fanning, Niamh O' Connor (below), Lauren Fagan, Emma Cooke and Catherine Domigan on their excellent performance in the ISTA Science Quiz in Trinity College last night. 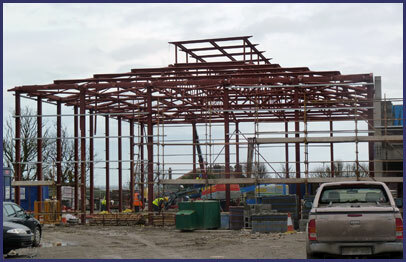 The building project is continuing and we were delighted to see the frame of the new sports hall erected in the past week. Rehearsals for the Transition Year Fashion Show are ongoing. Tickets will be on sale soon. The Transition Year Chinese module group attended a Chinese meal in the Bracken Court Hotel, courtesy of the Confucius Institute. Third, Fourth & Fifth Years were on retreat this week with Gerry Keegan. The Power of One class were photographed for the national media as part of the launch of this year’s competition. Well done to the 2nd Year and Senior hockey teams on their matches this week against Newbridge College. The Second Years won 4 – 0 while the Seniors lost 2 – 0. Congratulations to all the students who participated in the School Stars Quarter Final. 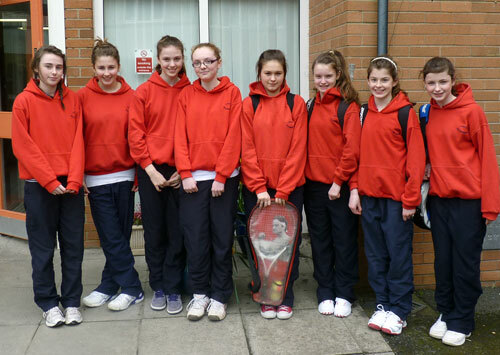 They were Farah Elneihum, Hannah Hawkshaw, Izzie Rioch, Alice Kiernan and the Iconic Dance Crew. 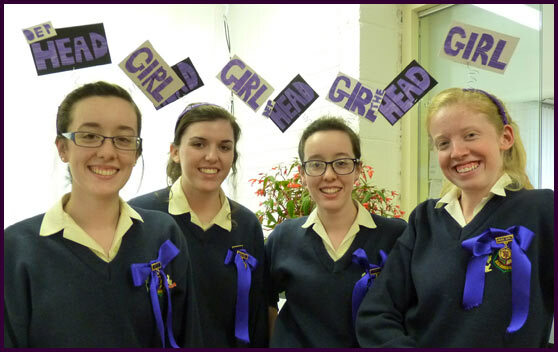 Six student council members accompanied Ms. McFadden to the Loreto Student Council seminar. The Third Year Parent Teacher meeting took place on Thursday, 10th November. 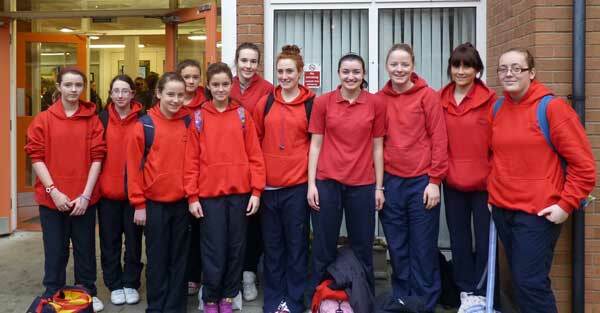 Well done to the girls representing the school in the Loreto Swimming Gala. Well done to Megan Weston, Deirdre Cleary and Sophie Donnelly on being chosen as part of the Maths Enrichment project organised by U.C.D. 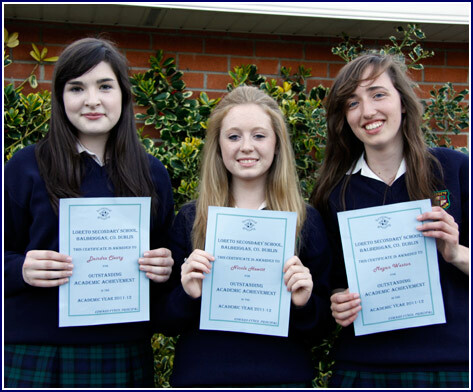 The girls were chosen as a result of excellent Junior Certificate Maths results. Transition Year Business and Home Economics classes began their “new product development” project with both teachers and Country Crest personnel. 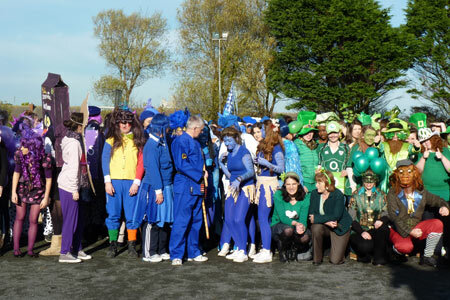 The school greatly enjoyed the Fun Friday Charity Drive for Loreto Darjeeling. 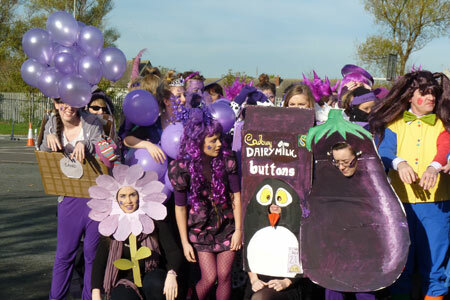 Each year group dressed in one of the colours of the rainbow and there were various competitions during the day. 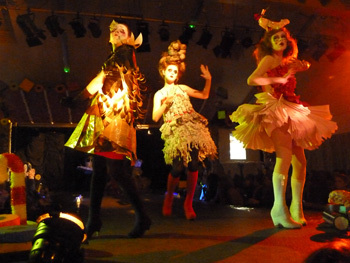 The awards for the best costume/head piece were: 1st Year: Chloe Callaghan. 2nd Year: Erica Ruigrok. 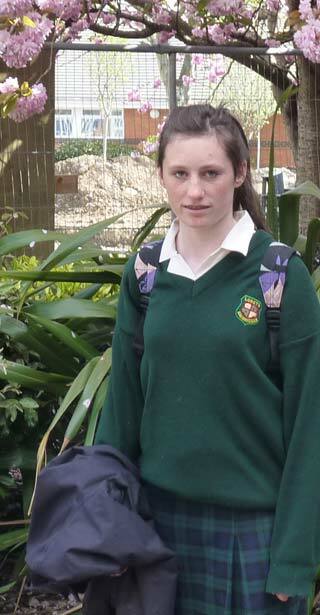 3rd Year: Eimear Fitzpatrick. 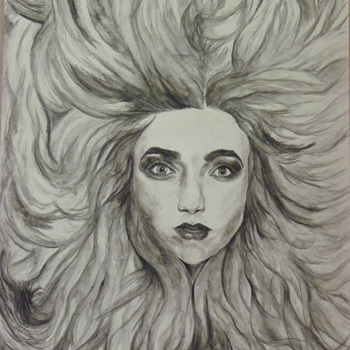 4th Year: Sinead Corbally. 5th Year: Chloe Moore. 6th Year: Hannah Scott. And the overall winner was Kelly Murphy, 1H. Congratulations to the six projects which were accepted into this year’s Young Scientists Competition. 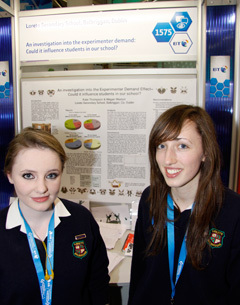 Well done also to the remaining six projects who qualified for Scifest. 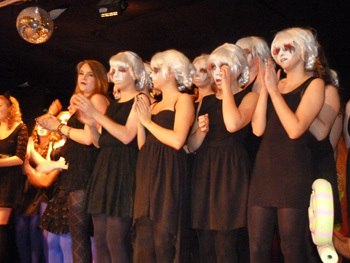 Second and Fourth Years enjoyed a French Theatre group who performed in the school on Wednesday. Transition Year had a most enjoyable day in Causey Farm. 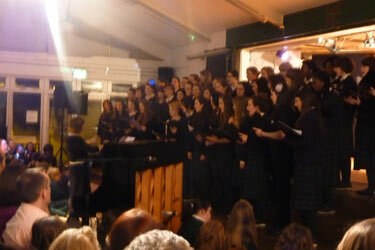 A wonderful night’s entertainment was held on Thursday, 26th with a Ceol Loreto Gig. 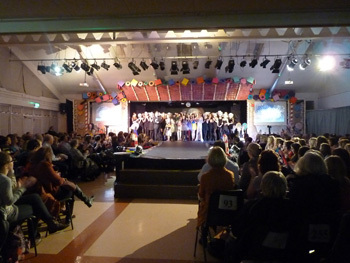 A packed Hall enjoyed a great variety of acts. Well done to the First Year Futsal team who came second in their competition. Well done also to the Equestrian and Senior Hockey team. Graham, Eniola Kasim, Saoirse O’Reilly, Naoise Whearity, Kate Thompson and Paula Dowling. 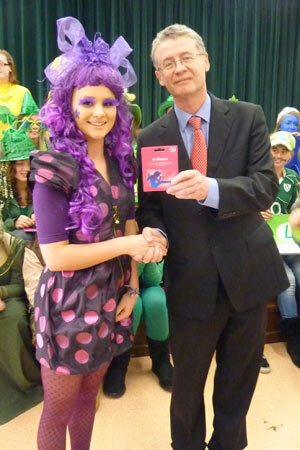 Another Loreto student, Katie Fleming helped organise the event. 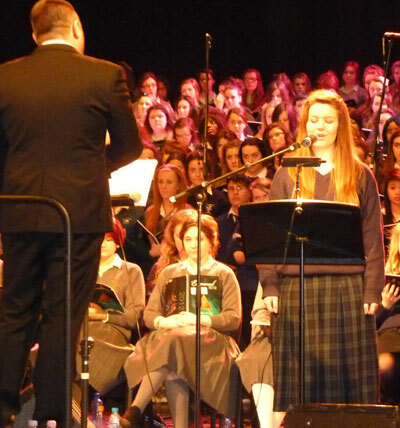 Sixth Year Music students attended a performance of their Set Works in the National Concert Hall. 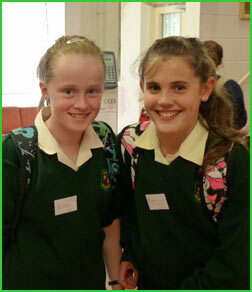 Well done to the students involved in the Poetry Aloud Competition in the National Library of Ireland. 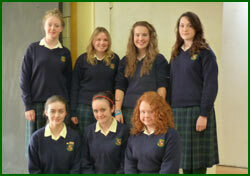 They are Aideen Foley, Aoife Phillips, Deirdre Cleary, Naoise Wherity, Sarah Murphy, Saoirse O’Reilly and Emma Lyster. Fourth Year music students attended a SongSchool workshop during the week. 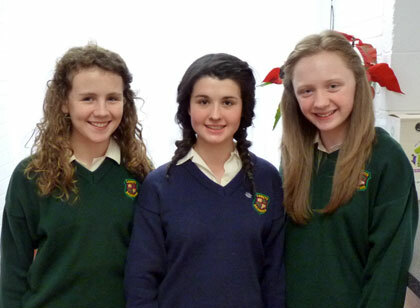 Congratulations to the students chosen for the lead roles in the Transition Year Musical “The Sound of Music”. 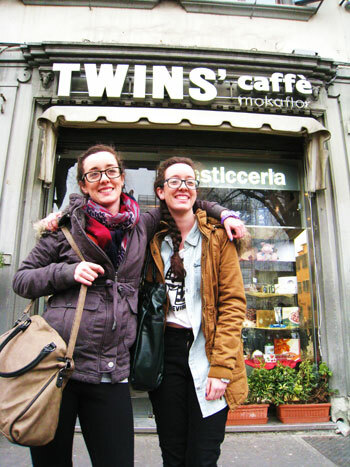 They are: Maria: Lauren Walsh. 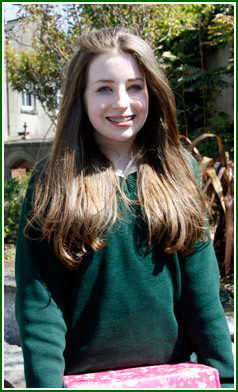 Captain Von Trapp: Niamh Egleston. Mother Abbess: Deirdre Cleary. Children: Ellen O’Malley, Hannah Boylan, Naoise Whearity, Hannah Egan, Sarah Murphy, Rebecca Owen & Niamh Mackey. Baroness Elsa Schraeder: Mairead McDonough. Max Detwieler: Aoife Phillips. Rolf: Rebecca Fagan. Sister Berthe: Aideen McNally. Sister Margaretta: Niamh Gibney. 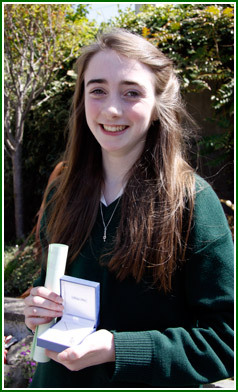 Sister Sophia: Aoife Dunne. Franz the Butler: Megan O’Carroll. Frau Schmidt the Housekeeper: Hannah McNulty. Admiral Von Schreiber: Sophie Donnelly. Fraulein Schweiger: Paula Dowling. The Parents Association have decided to focus on the following for the year ahead: Careers Fair and Fundraising for the Library. Pat McKenna gave a talk to students on the dangers of the internet and cyber bullying. Business students are on a trip to Frankfurt. Third & Fourth Years had a talk on the European Parliament. Transition Year Home Economics students were on an educational visit to Butler’s Chocolate Factory. Lots of Maths related events occurred this week as part of Maths week. September – other than First Years. 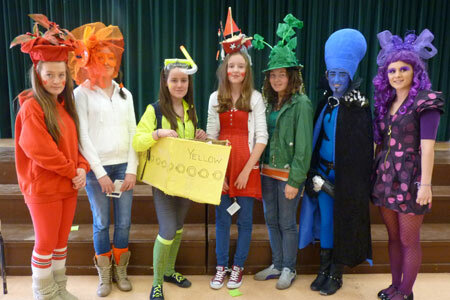 Our head girls display their new head gear as they promote the charity fun day to be held next friday. News update, Oct 14th, 2011. 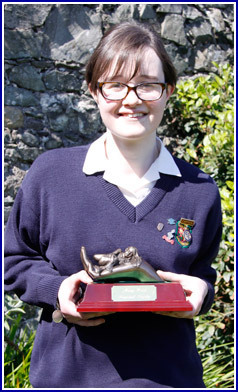 Well done to Kate Toland who represented Ireland in the Tae-Kwan-Doe European Championship. The Transition Year Horticultural class visited the Botanic Gardens. Well done to both G.A.A. and Hockey Teams on their victories during the week. presentations from Trocaire, Self Help Africa and the U.N.
Best wishes to all the business students on their trip to Germany next week. Accord talks on Relationships and Sexuality Education took place for 2nd Years. Well done to Roisin Leahy on her excellent performance in the Leinster Invitational 3,500 metres on Wednesday in Santry Stadium. 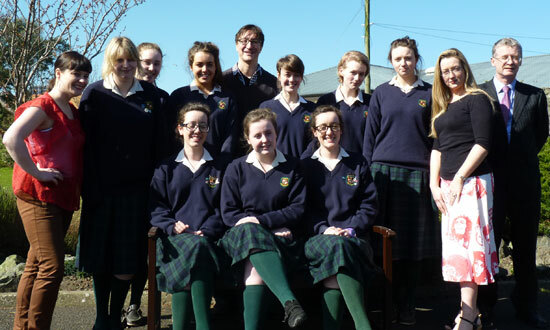 A creative writing workshop took place with Geraldine Meade on Friday for Fifth Year students. 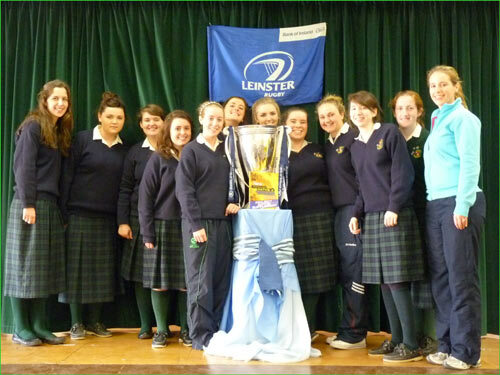 The school was delighted to have the Heineken Cup in school on Thursday. News update, Oct 3rd, 2011. Student Council elections took place on Monday, 26th September. Staff Inservice took place on Tuesday, 27th September. The 2C class participated in a Disability Awareness module with the Irish Wheelchair Association. 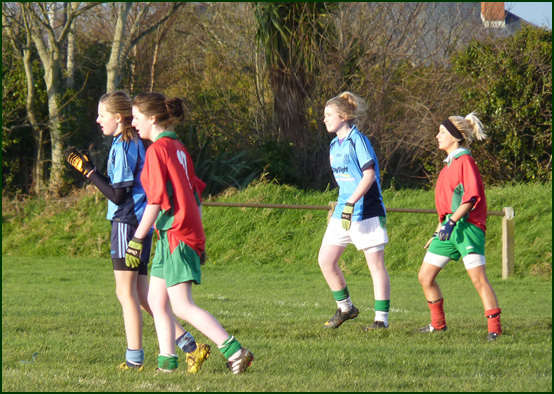 Well done to the three hockey teams who played Skerries Community College on Wednesday, 28th. 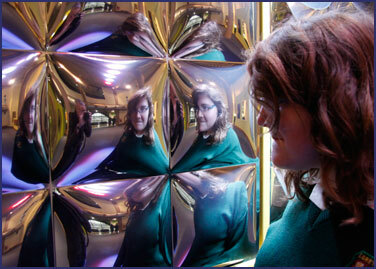 There was a photography workshop for Transition Years with Tim Durham on the 29th & 30th September. The Figure Notes Group received training with Fingal Rehab on Thursday. There was a Health & Beauty module talk for Transition Years on Thursday. 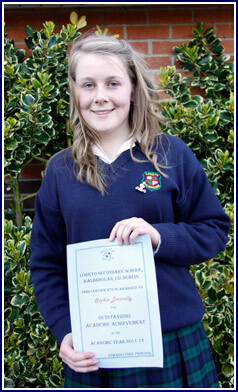 Congratulations to Deirdre Harford who won the National Career Skills Competition run by Career Portal.ie. News update, Sept 23rd, 2011. 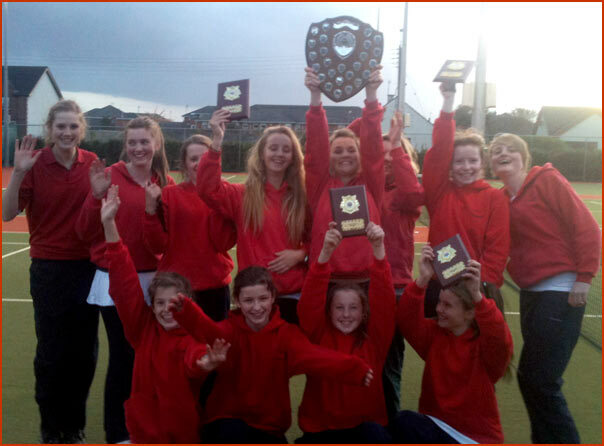 Well done to the school tennis team who won the Drogheda School Tennis League in Laytown Tennis Club during the week. 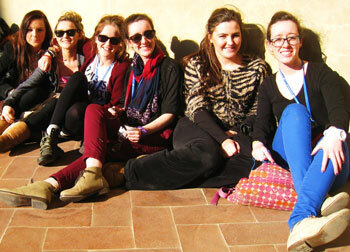 The team are Naoise Dunne, Jenny Power, Rachel Taylor, Laura Hennelly McCarthy, Caoimhe Dunne and Emma Power - Pic below. There is a junior English trip to London and Strafford this week. The girls will be visiting the Globe Theatre, Westminister Abbey and then will be travelling to Stratford upon Avon to view a performance of the “Merchant of Venice” and take in the cultural delights of Shakespeare’s birthplace. Up to 70 Transition Year students are involved in a Sports/Adventure break in Wicklow. 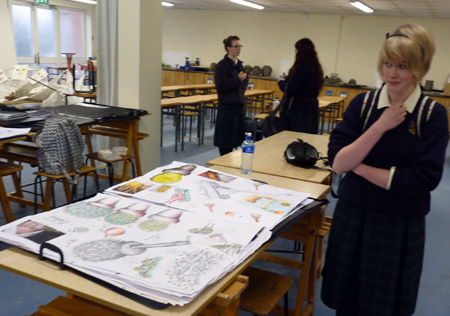 The school hosted a wonderful Art Exhibition of the Third Year Junior Cert projects. Big crowds turned out for the event. Registration for incoming First Years Sept 2012 took place on Wednesday, 21st September. The school Mass took place on Monday, 21st May in the parish church. The theme of the Mass was “Building a Bright Tomorrow”. After the mass the student leadership body for the year ahead were commissioned. The HSE administered the HPV injection to 300 students on Thursday, 22nd September. News update, Sept 16th, 2011. Congratulations to our Junior Cert students on their excellent results. 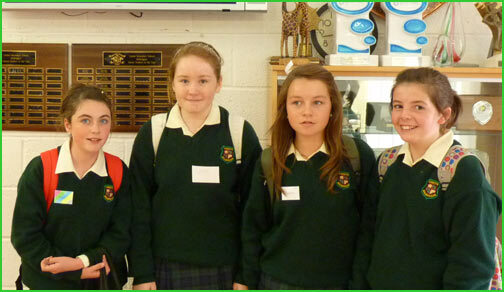 Fifth & Sixth Year students attended the Higher Options Conference on Thursday. Information Evenings for prospective students 2012 took place on Tuesday and Wednesday. Sixth Year Geography students had their fieldwork trip to Wicklow on Wednesday. 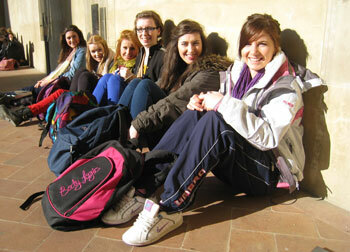 Fifth Year Art students visited the Hugh Lane Gallery on Friday,16th. 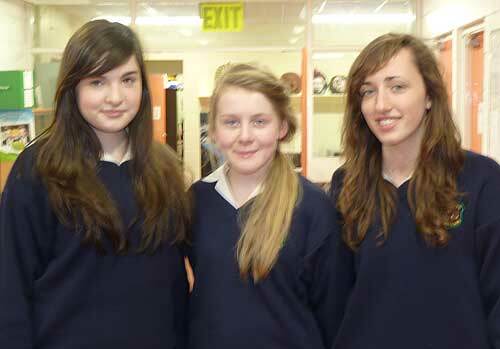 A Study Skills programme was provided for Third and Sixth Years this week. Training for Sixth Year students who applied to be Minister of the Eucharist also took place. Best wishes to the members of our teaching staff involved in Oxfam Trek from Newcastle, Co. Down to Carlingford. 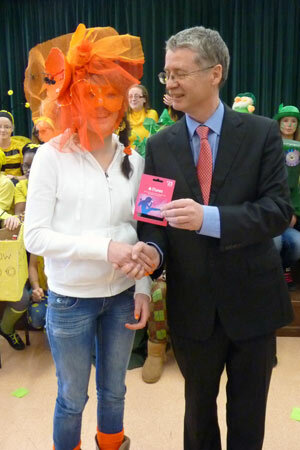 The teachers involved are Mr. Kilgarriff, Mr. O’Brien, Ms. Greaney, Ms. Ryan and Ms. Conroy. at 7.30 p.m. in the School Hall. meetings. The school will be open from 6 – 7 p.m. for a tour of the facilities. 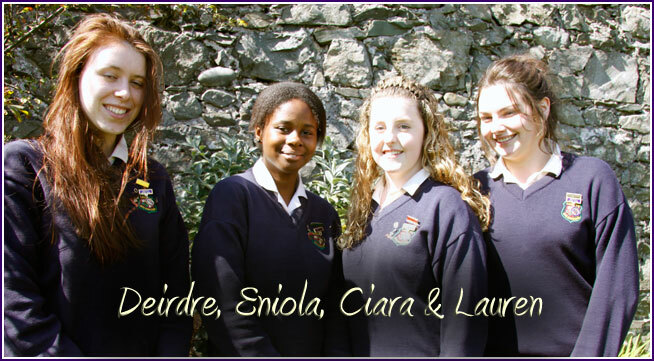 Welcome to all our new students and staff to Loreto Balbriggan. There has been extensive building work over the summer with major improvements in mechanical and electrical provision, office and Art Room 1. Our new extension is on track for opening in the spring of 2012. Congratulations to Emma Cook and Lauren Fagan. 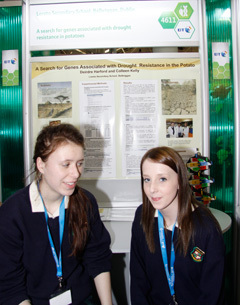 The girls were awarded the Senior Northern Ireland Young Scientist runner up title for 2011 at the Sentinus Northern Ireland Young Scientist and Innovator on Tuesday 14th June, in the Odyssey Arena in Belfast. 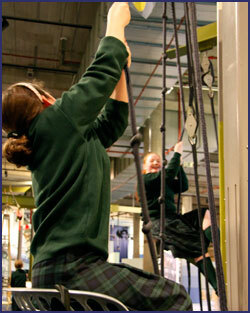 A wide array of modules are provided for Transition Year students in addition to core and options. New modules include Mandarin Chinese, Green School and Log-on learning. 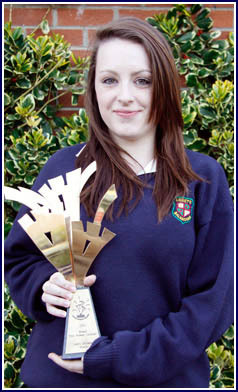 Well done to Deirdre Harford who won 2nd Prize in the nationwide Career Skills competition based on her work experience. Congratulations to our outgoing Leaving Certificate on their excellent results. Viewing of scripts takes place this weekend. We have been informed that Junior Certificate results will be available on the 14th September. The Year Heads and Form Teachers for the 2011-12 year are listed on left hand menu, under Pastoral care. The student leadership groups, also under Pastoral Care in menu on the left, have had inservice with Ms. Murray, Ms. Gallen and Mr. Shane Martin.